Back in 1964, the U.S. 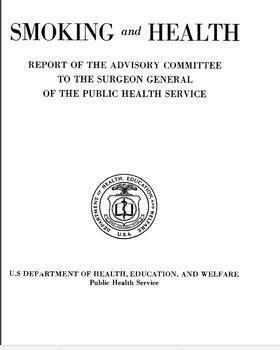 Surgeon General, Dr. Luther Terry, released a report that documented in exhaustive detail the health risks of cigarette smoking, something that had been considered benign and even healthy just a few years before. Now another report from the U.S. Surgeon General is raising concerns about e-cigarette use among U.S. youth and young adults, now estimated to amount to 1 in 6 high school students. The report finds that, while nicotine is a highly addictive drug at any age, youth and young adults are uniquely vulnerable to the long-term consequences of exposing the brain to nicotine, and concludes that using nicotine in any form is dangerous to young people. The report also finds that secondhand aerosol that is exhaled into the air by e-cigarette users can expose others to potentially harmful chemicals. Today’s report, which was written and reviewed by more than 150 experts, is the first comprehensive federal review of the public health impact of e-cigarettes on U.S. youth and young adults. After years of study, the Food and Drug Administration in May set the legal age for using tobacco and e-cigarettes at 18 after finding that the rate of teen "vaping" was increasing markedly. “We have more to do to help protect Americans from the dangers of tobacco and nicotine, especially our youth. As cigarette smoking among those under 18 has fallen, the use of other nicotine products, including e-cigarettes, has taken a drastic leap. All of this is creating a new generation of Americans who are at risk of addiction,” said HHS Secretary Sylvia Burwell at the time the age limit was announced. There have been numerous, conflicting studies about the health effects of e-cigarettes and other electronic nicotine delivery systems. 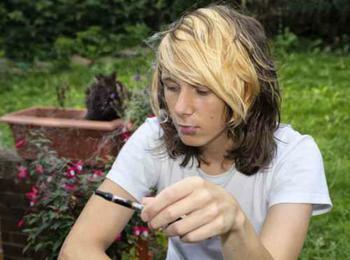 Some countries, most notably Britain, have concluded that e-cigs are less harmful than regular tobacco products. In 1995, Public Health England (PHE) -- roughly equivalent to the U.S. FDA -- said it had found e-cigs about 95% less harmful than smoking. Perhaps, but in November, a University of Southern California study suggested that the health of young users may be at serious risk in the short- and long-term. The reason, the authors say, is that e-cigarette use and vaping can be associated with an increased frequency of smoking and heavier smoking habits overall. expanding research efforts related to e-cigarettes. A new interactive website containing key information from the report, written especially for parents and adult influencers of youth, is available at E-cigarettes.SurgeonGeneral.gov.